At Pinpointe, we’ve taken business class email marketing to a whole new level by fully integrating real-time website tracking and analytics. 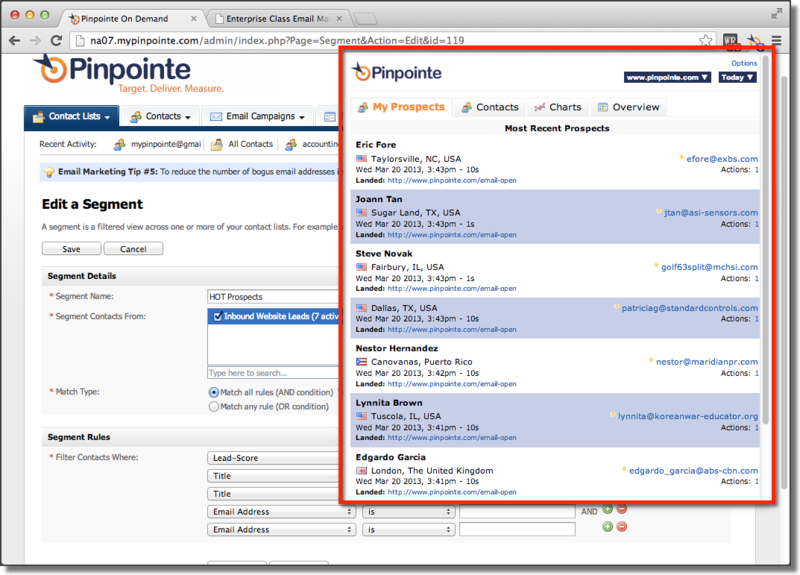 With Pinpointe, you get a true 360 degree view of your contact and prospect activities. 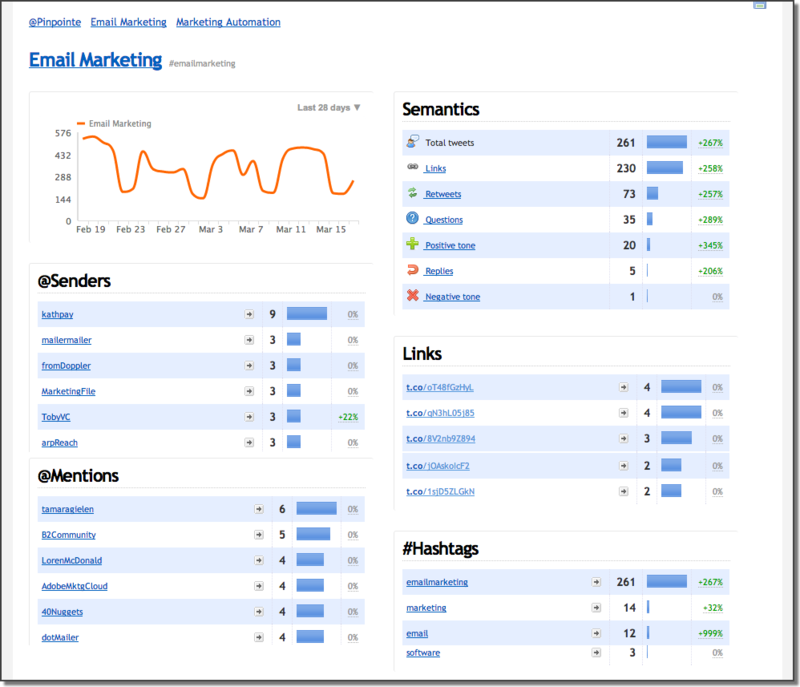 Plus you can easily track your inbound marketing results and mine twitter streams. We even automatically calculate a lead score based on your subscriber’s activities so you can send only the hottest leads to the sales team. 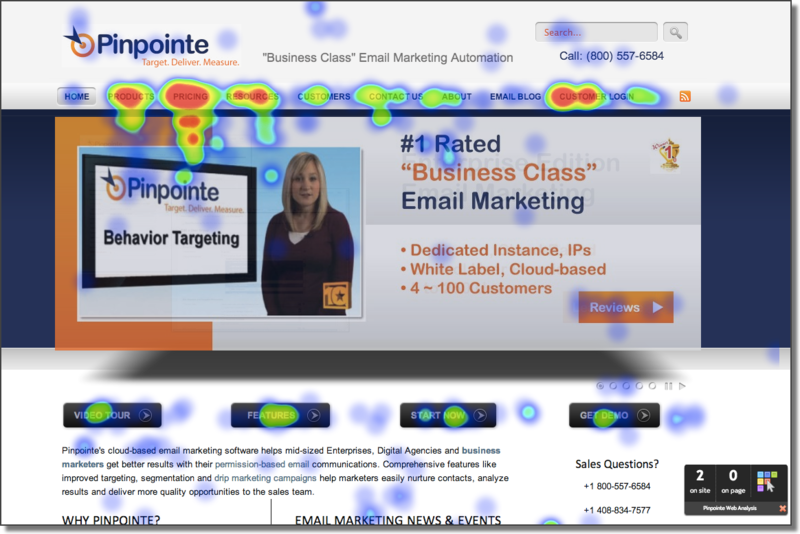 Heatmaps give you the competitive advantage to improve your website immediately, based on user real data. When you schedule email campaigns through Pinpointe, we track every page your subscribers visit in addition to tracking email opens / clicks. Get a richer view of prospect’s interests so you can send better qualified leads to the sales team. 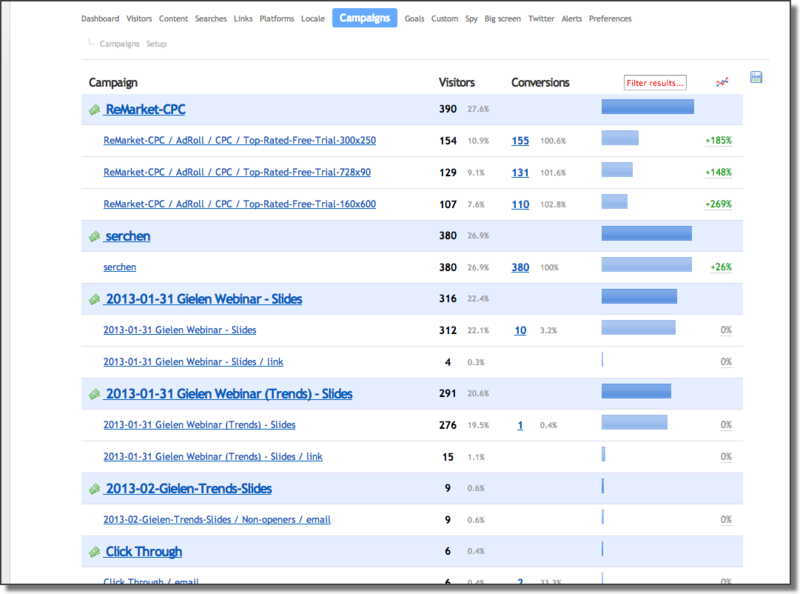 Any prospect that opens a campaign is tracked as a known visitor — so you can see exactly who is on your site. For anonymous visitors – we display the company / organization name and content details. Pinpointe’s innovative Lead-Deck pops up real time lead alerts when your prospects are on your site. You don’t have to settle for just tracking email campaign results. Email Marketing products only track the responses to your email campaigns. Pinpointe tracks visitors and responses from ALL online campaigns including your banner ads, paid programs, email marketing and more- any online campaign. 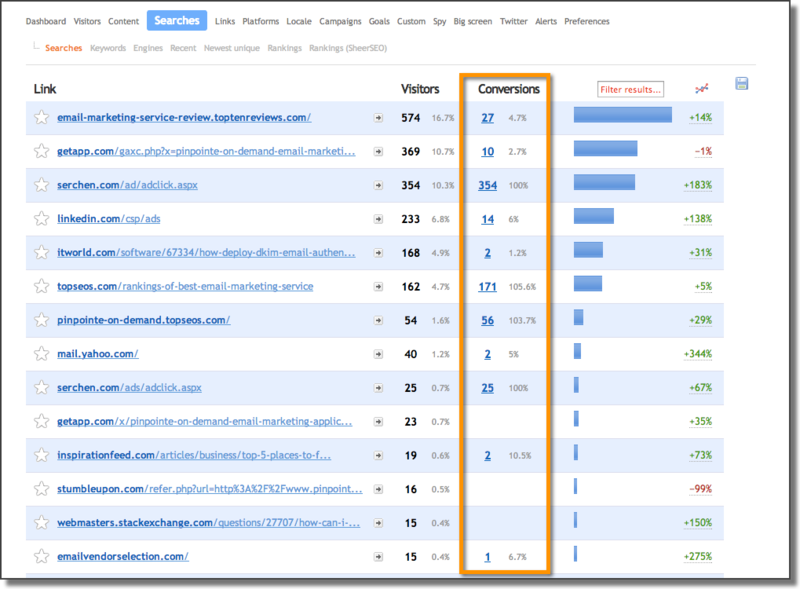 Drill down to see which visitors ‘convert’ based on your custom-defined goals. If you’re successfully creating and distributing content, you need to know what sites and links are driving interested prospects to your great content. 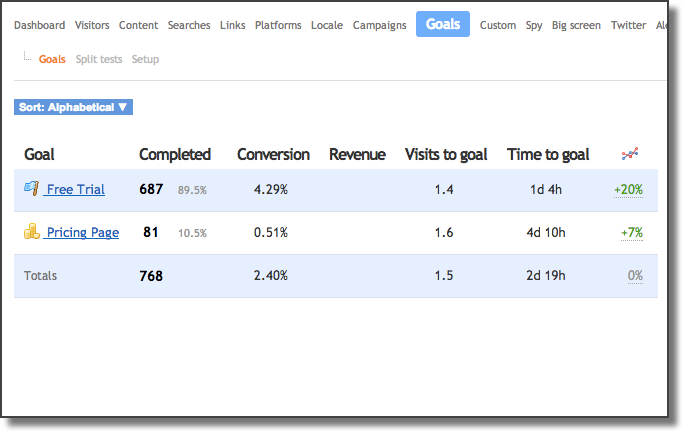 Pinpointe’s inbound link reports show which sites are generating the most inbound site traffic and goal conversions. The ‘top content’ report and the ‘keywords’ report gives you everything there is to know about keyword performance and conversions. Goals are your success pages – like the thank-you page for a whitepaper download, free-trial pages or visit the pricing page. Get all the critical details for each goal in real-time. Know EXACTLY which campaigns, searches and referring domains are responsible for each goal – even see whick known and anonymous visitors achieved goals. We automatically calculate a contact’s lead score based on their activity. This include email responses – campaigns opened and links clicked and all website session activity. The lead score is automatically increased each time the user visits pages on your site. Use custom fields or demographic information like titles or geography to further refine your lead filters and include only contacts who achieve a minimum activity score combined with other criteria. 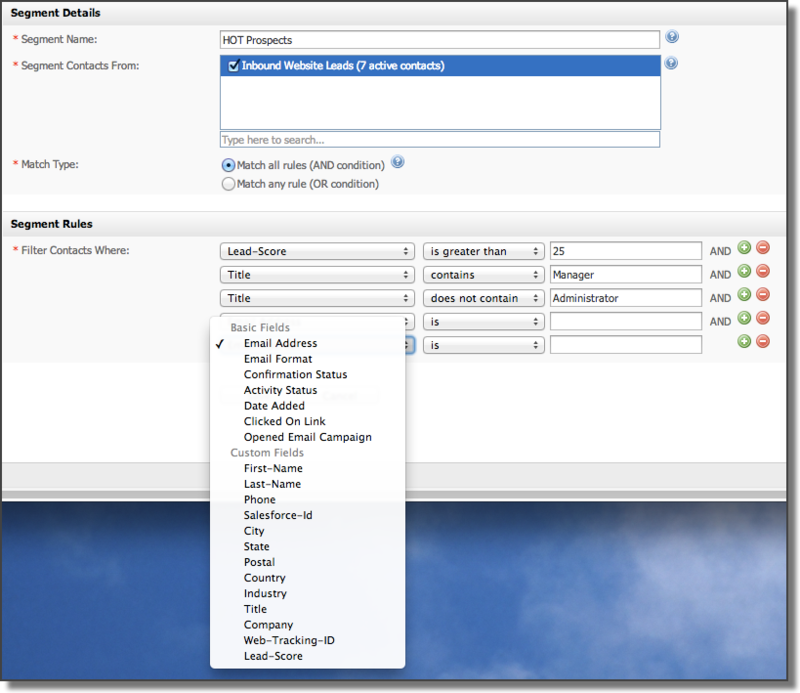 Select only these contacts as ‘sales ready’ contacts to be passed along to the sales team. In addition to our social sharing features — you can now mine twitter streams for critical memes in real-time. Mine Twitter to see what people are saying about your company or industry or even your top competitors, track your brand, follow response to a recent product roll-out and much more. You can respond to tweents right within Pinpointe. Just enter the search terms and we’ll update in real time.